Fox and Fox Attorneys at Law, P.C. 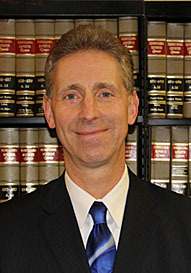 Joe concentrates his practice in the areas of family law, personal injury and insurance and civil litigation. He actively represents clients in all aspects of family law, to include matters involving divorce, custody, support, protection from abuse and equitable distribution in the five county regions of Philadelphia, Montgomery, Chester, Bucks and Delaware counties. Joe also represents clients in personal injury matters including automobile, motorcycle and bicycle accidents, slip and falls and premises liability claims, dog bite claims, and injuries involving minors. He has attained numerous high value settlements from many different insurance companies and business entities on behalf of his injured clients. Joe is married with five daughters and resides in North Wales, PA. Joe was a Division I basketball player at The George Washington University and played professionally overseas. He has been coaching boys and girls youth basketball since 2000 for the Montgomery Township Basketball Association and Mary Mother of the Redeemer CYO Program in North Wales, PA. Joe has also run marathons and is an avid runner and participant in road races. Joe has been recognized by his peers through Martindale Hubbell as a BV rated attorney which designates Very High Legal Ability. Joe has also been rated as Very Good through the Avvo rating system. Joe was recently recognized as one of the top personal injury attorneys for Montgomery County for 2014 by The Times Herald. Joe is a member of the Bar of Pennsylvania. Joe has participated in seminars on personal injury and insurance law. Joe attended The George Washington University on a full athletic basketball scholarship graduating in 1985 and received his law degree from Temple University School of Law in 1992.